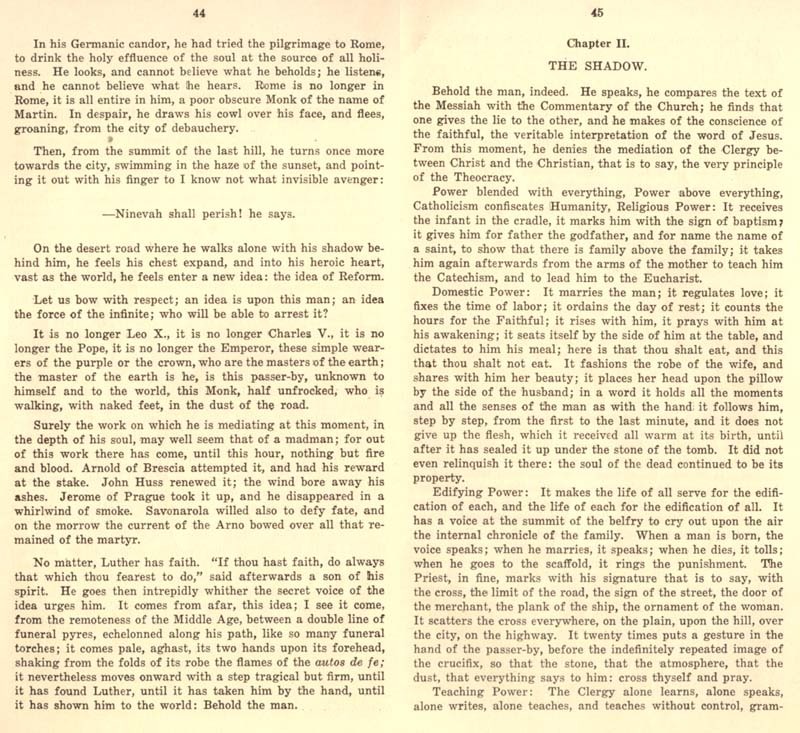 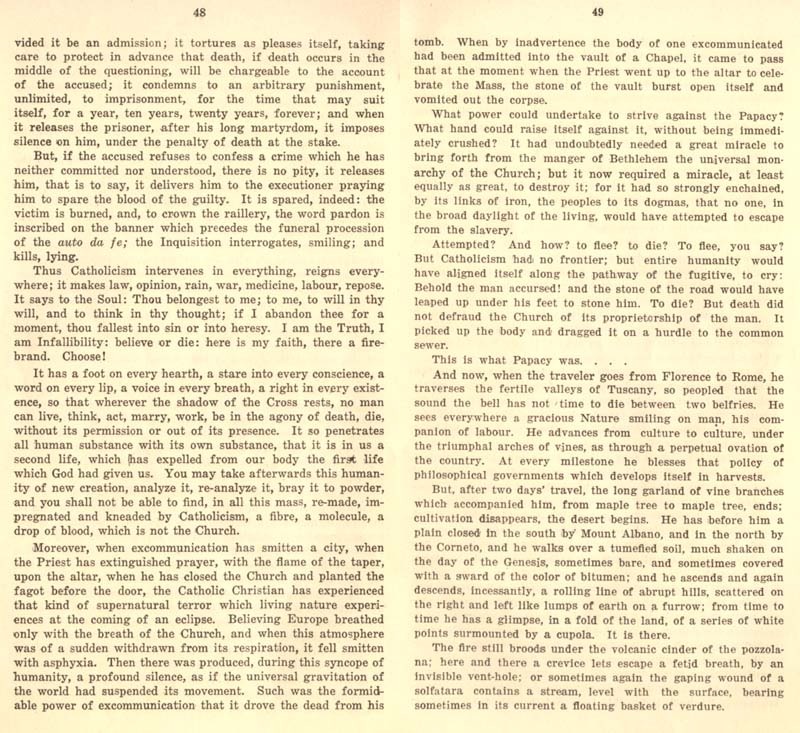 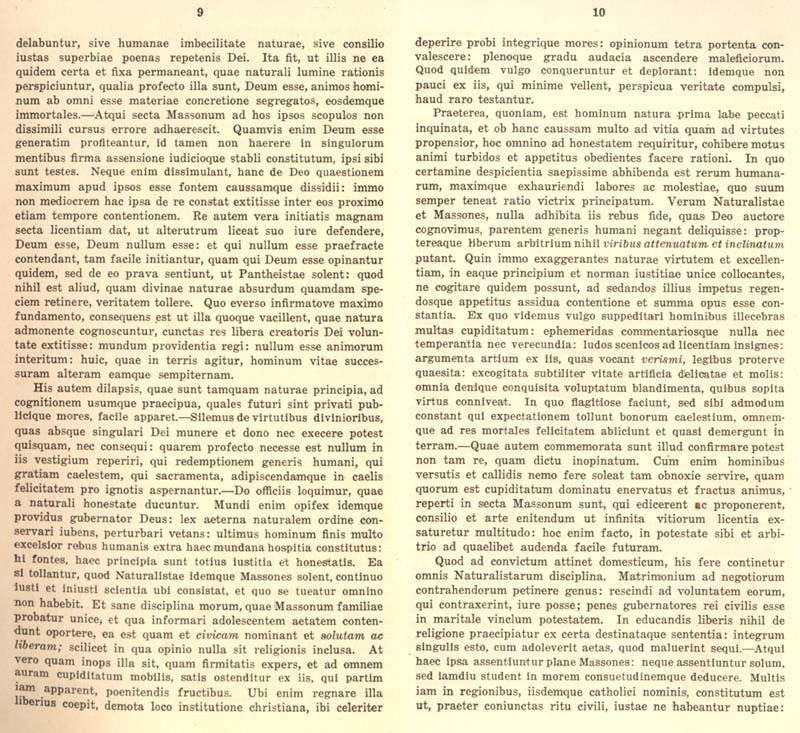 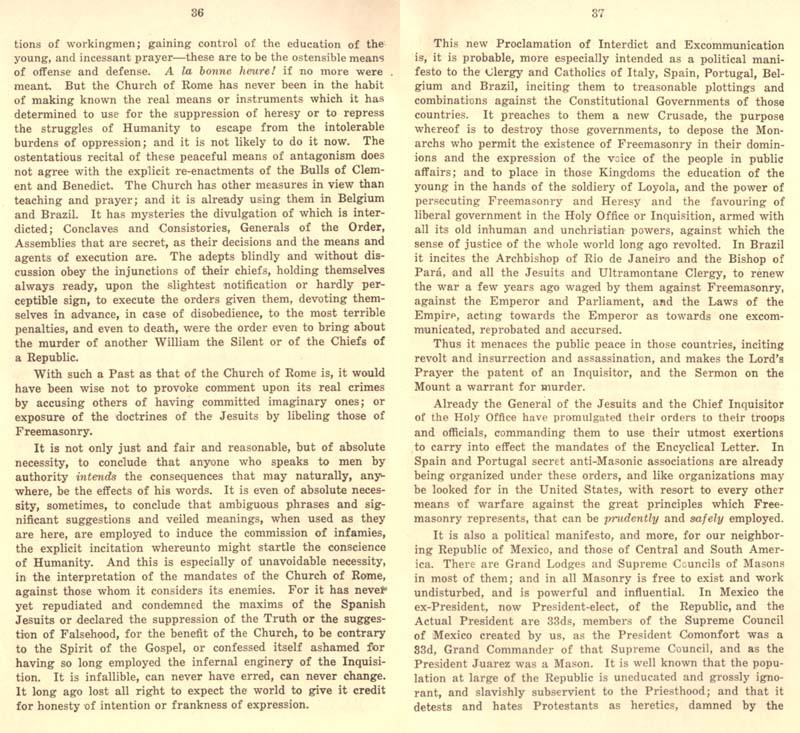 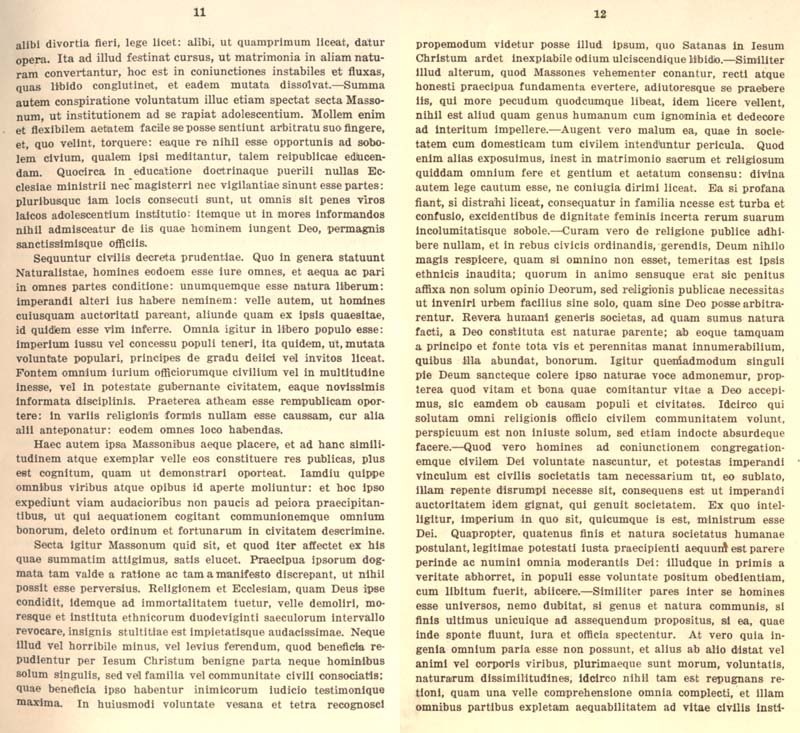 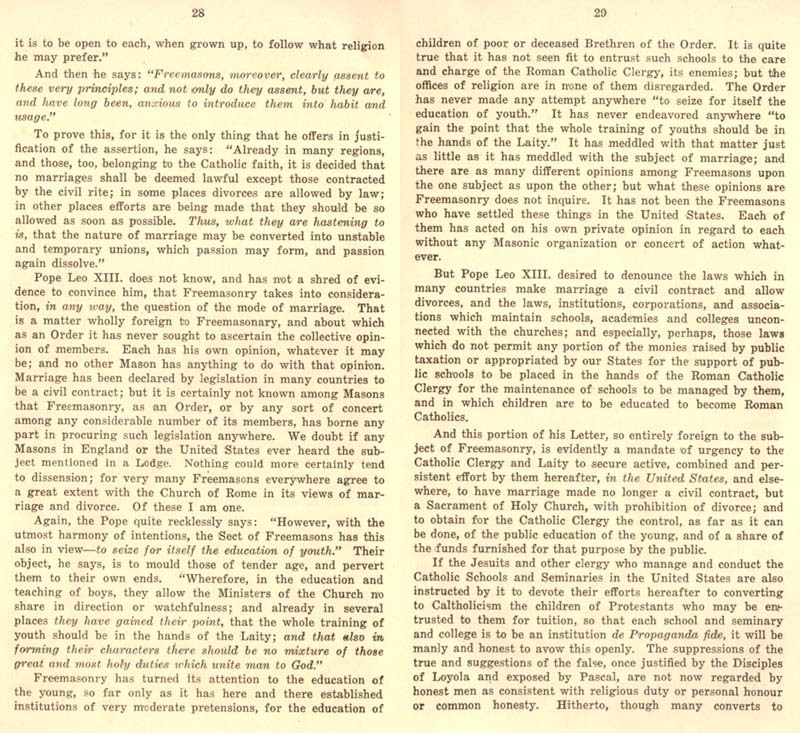 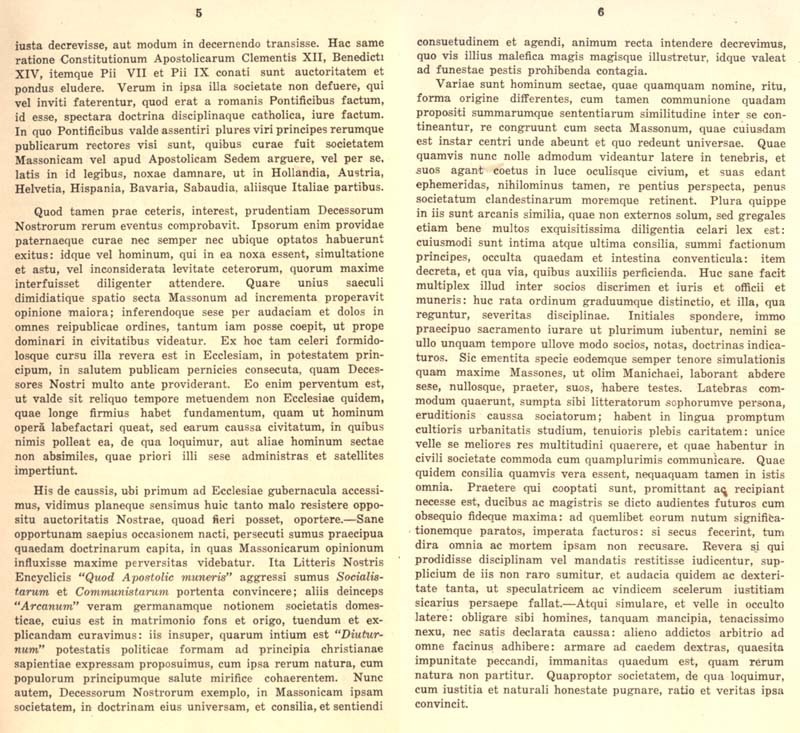 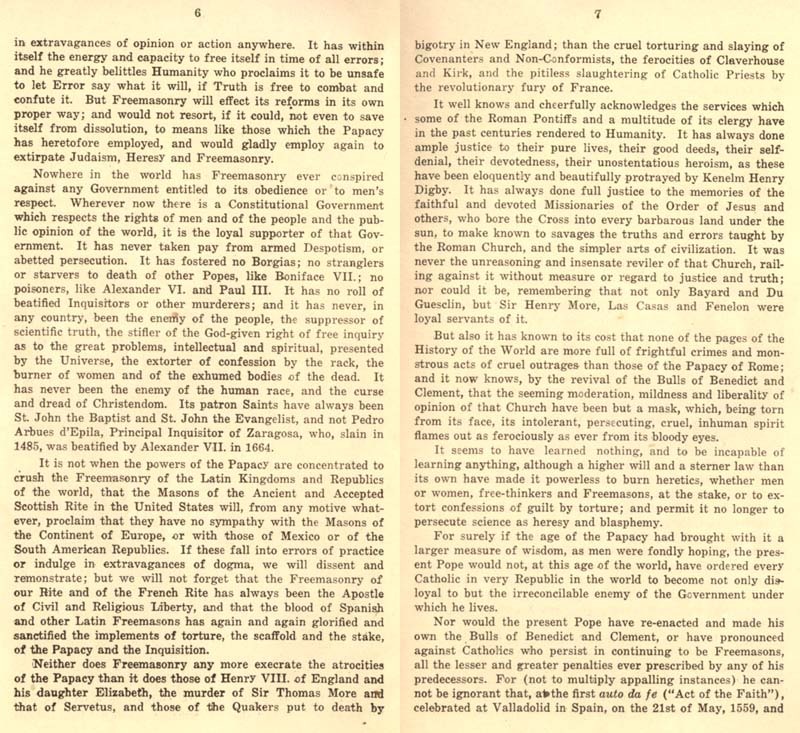 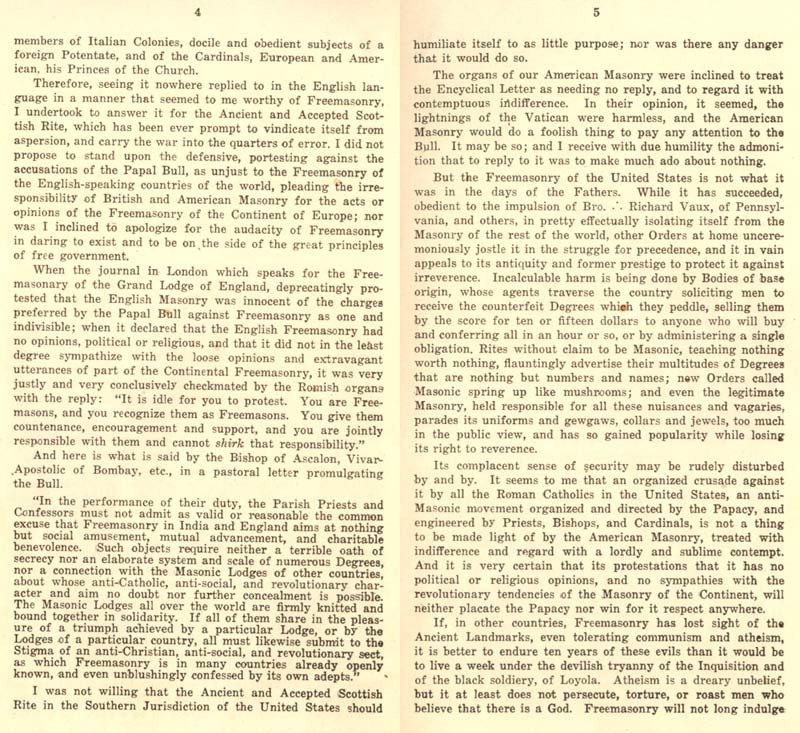 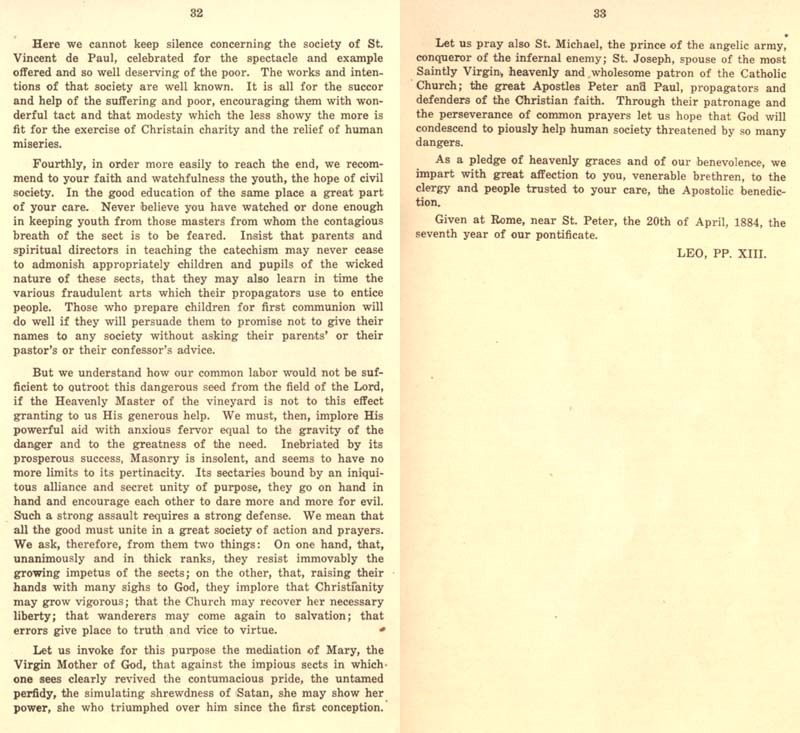 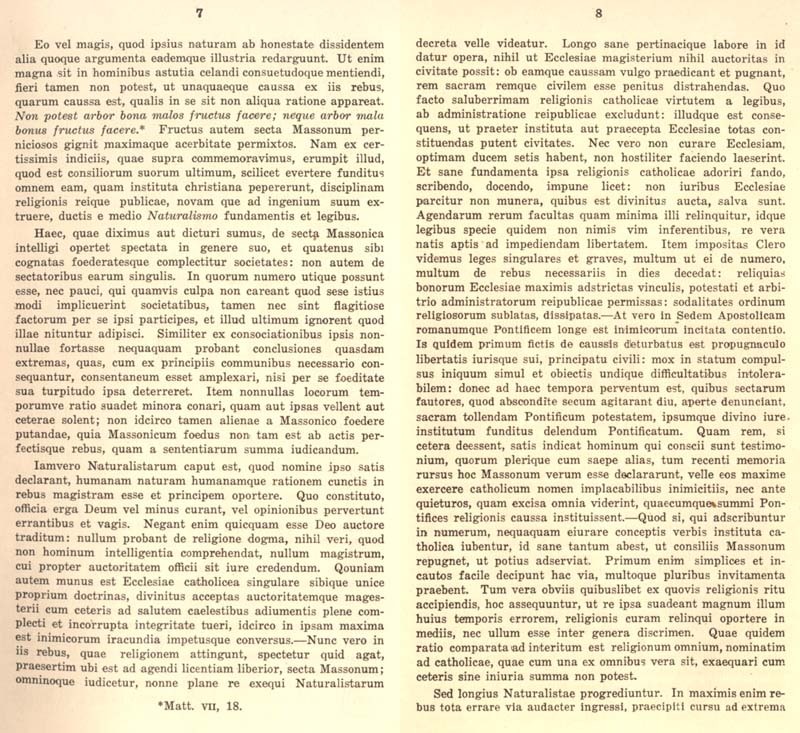 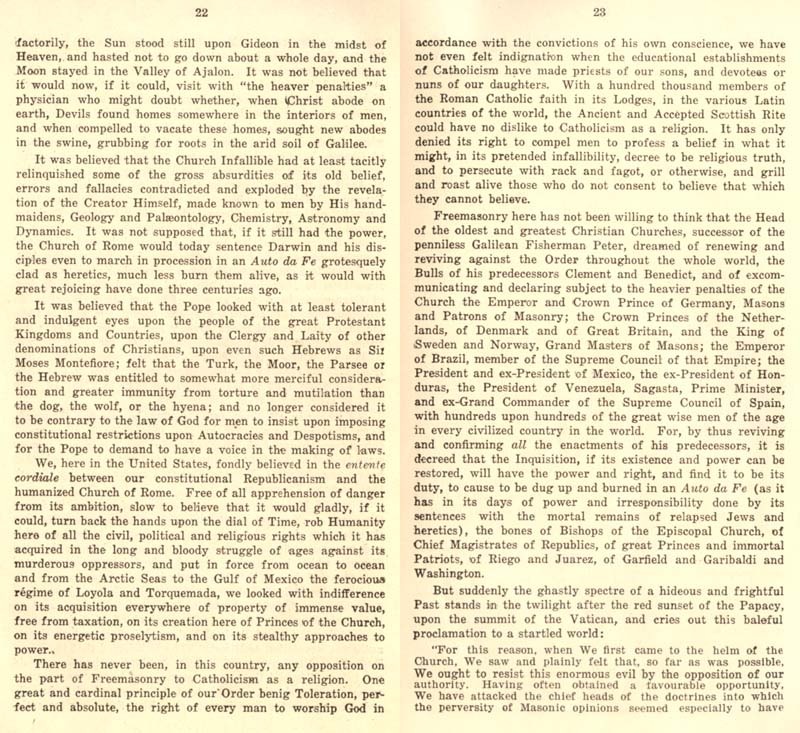 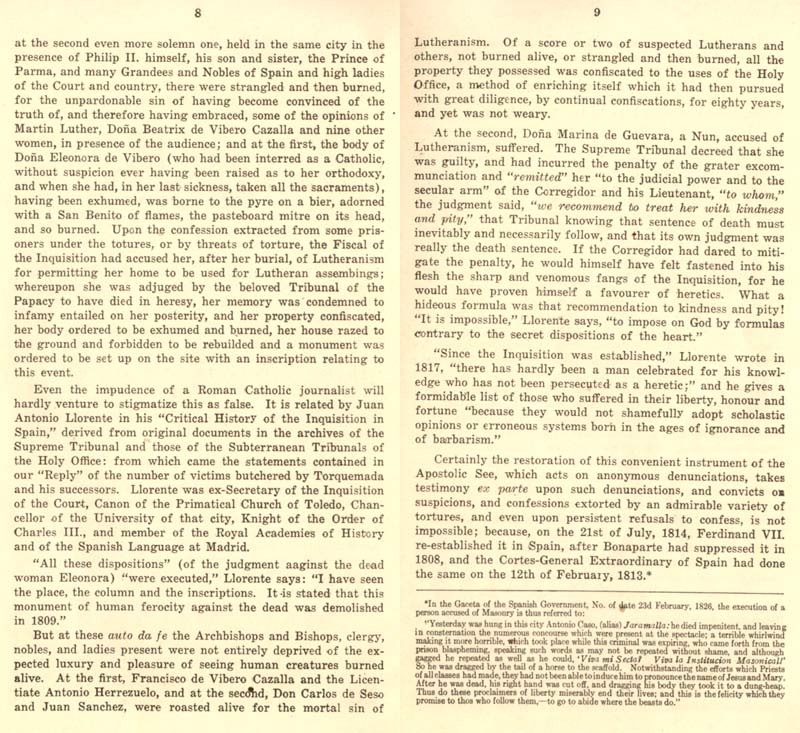 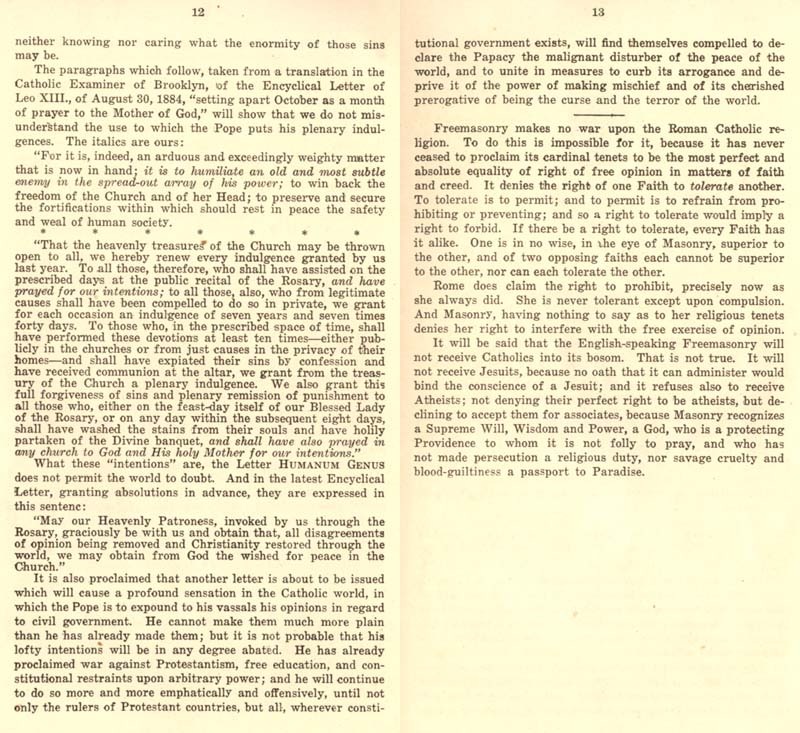 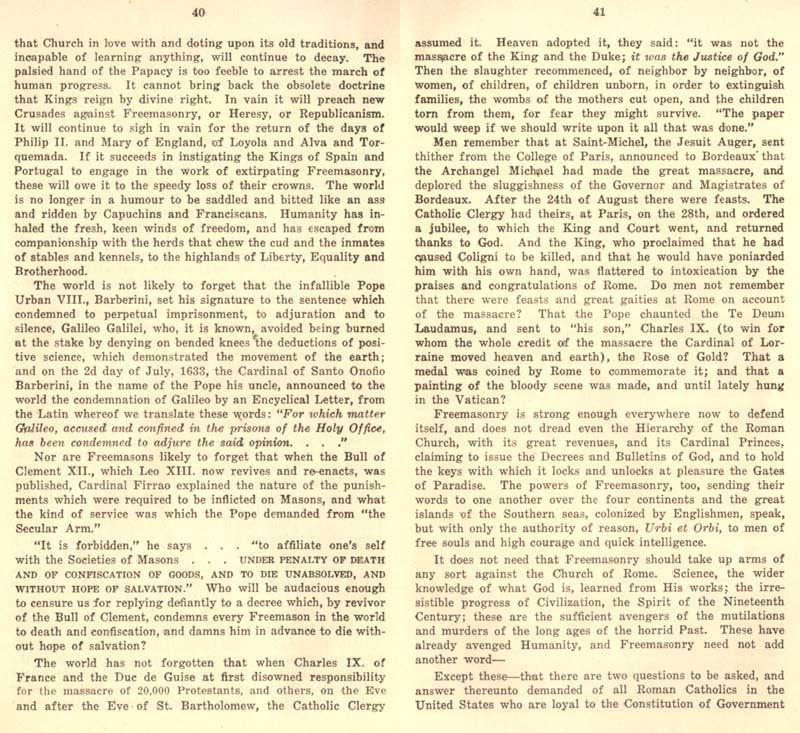 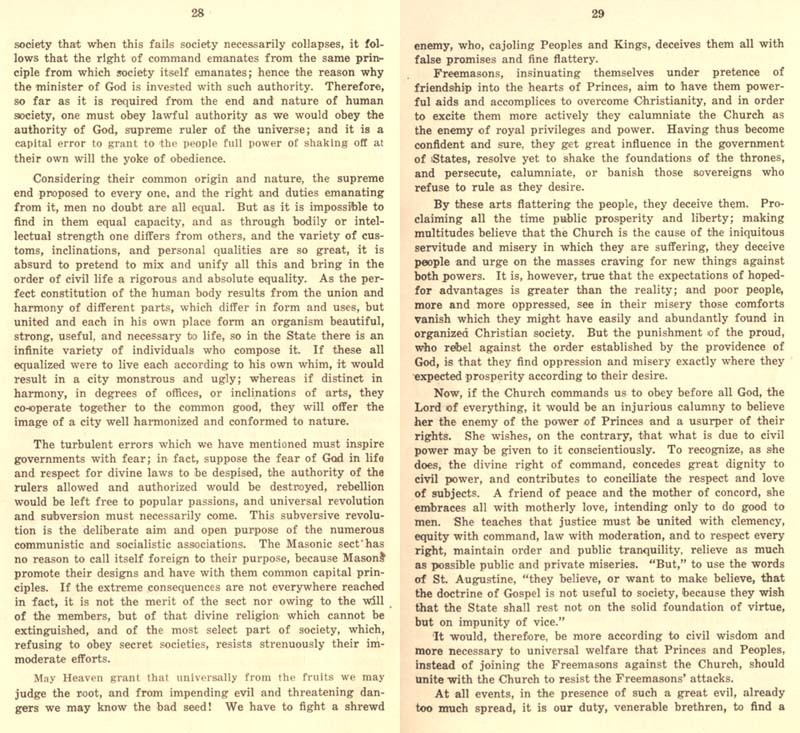 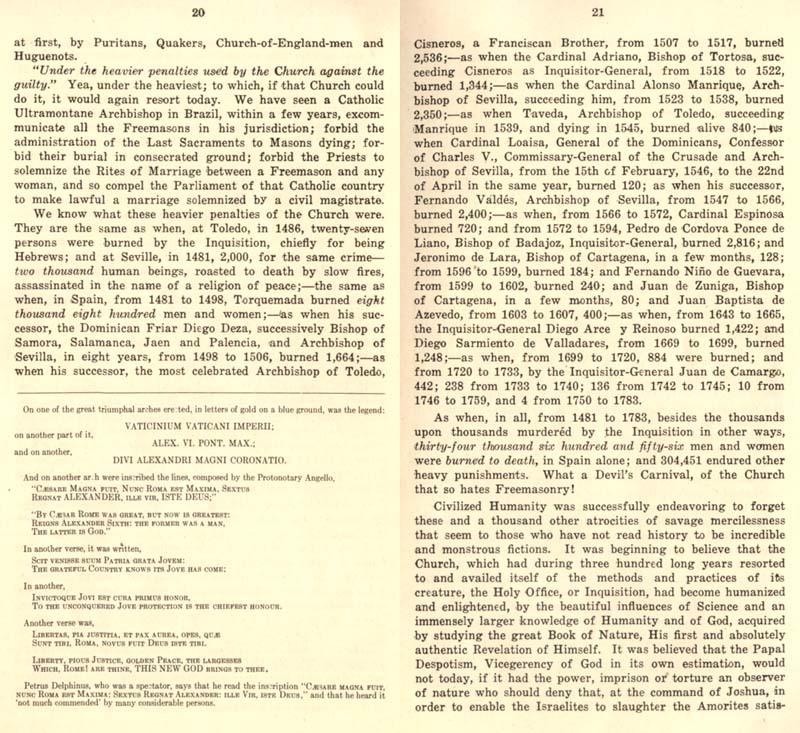 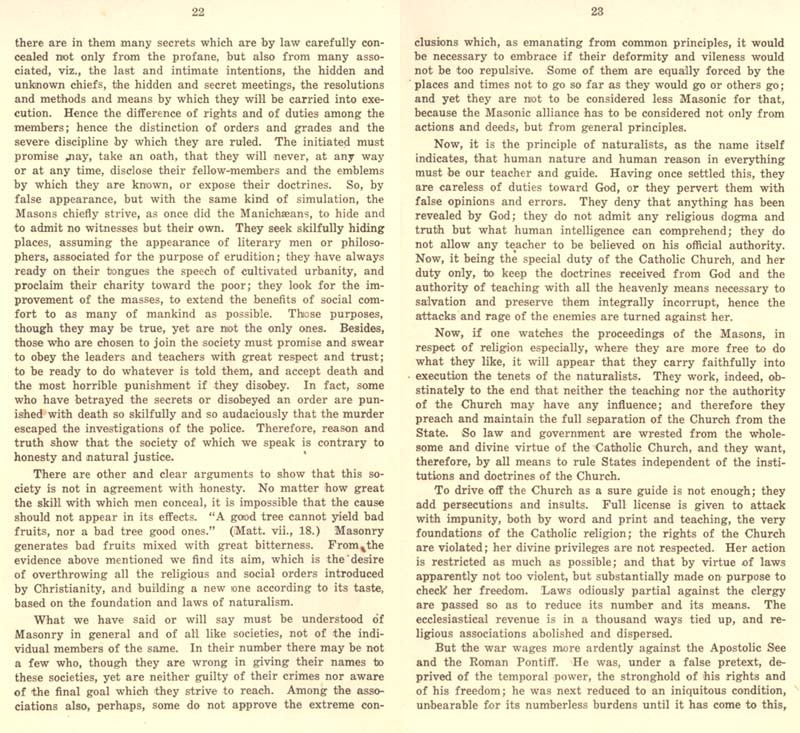 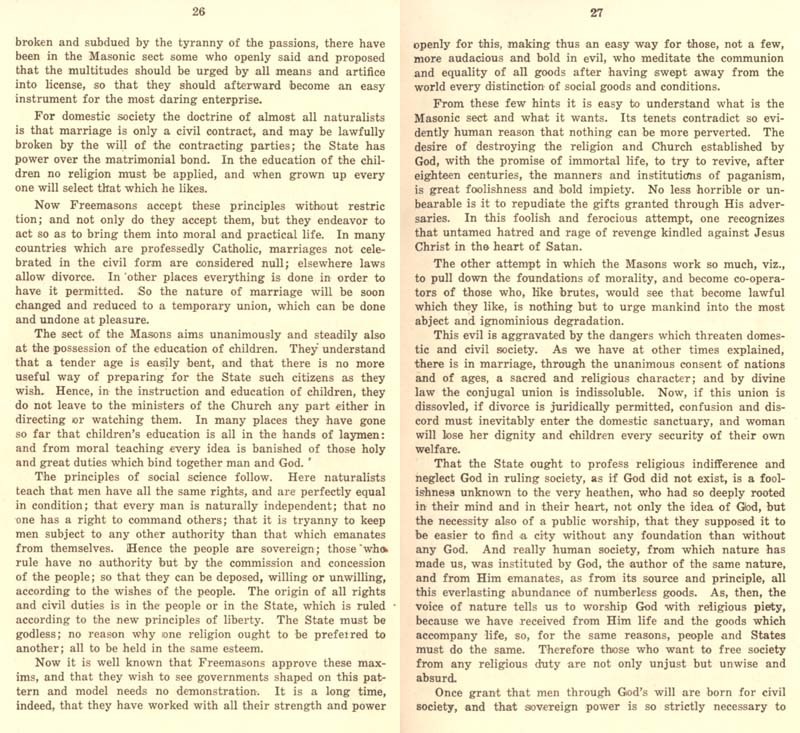 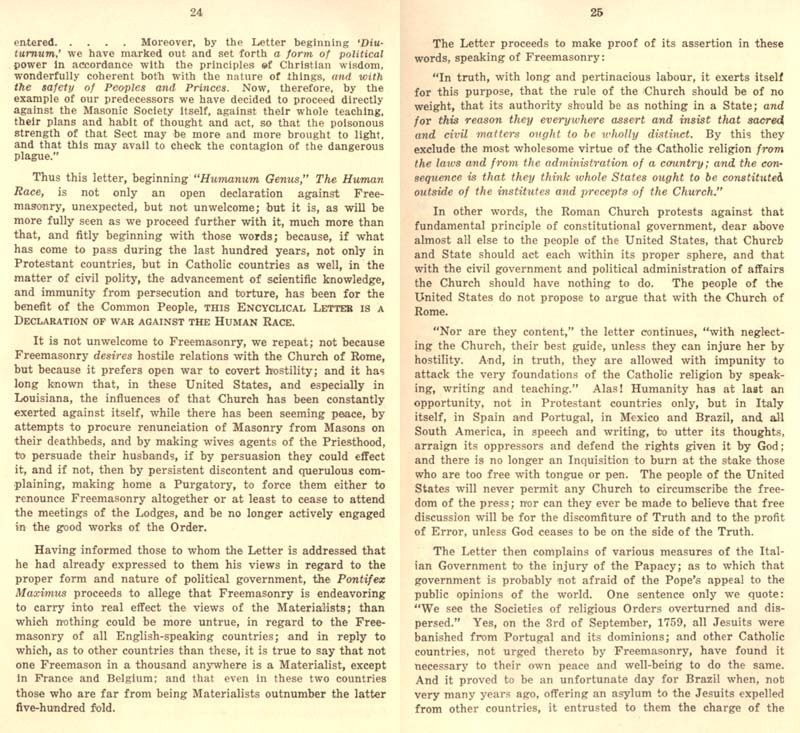 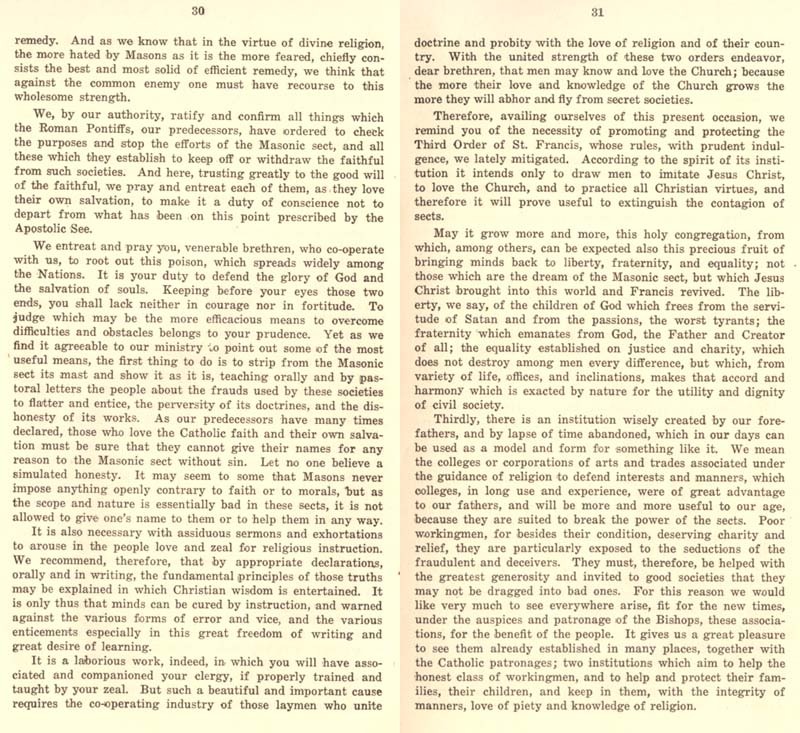 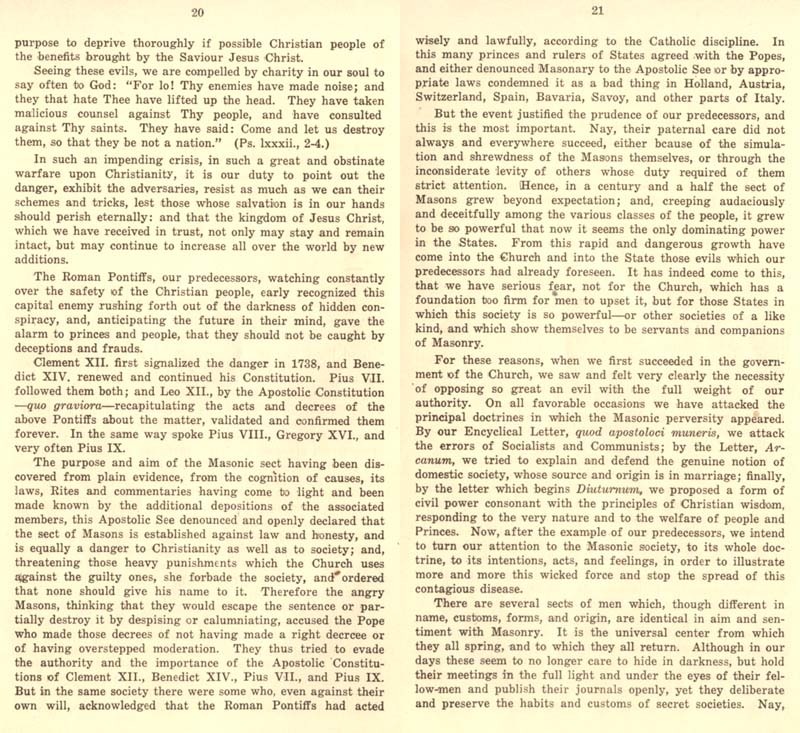 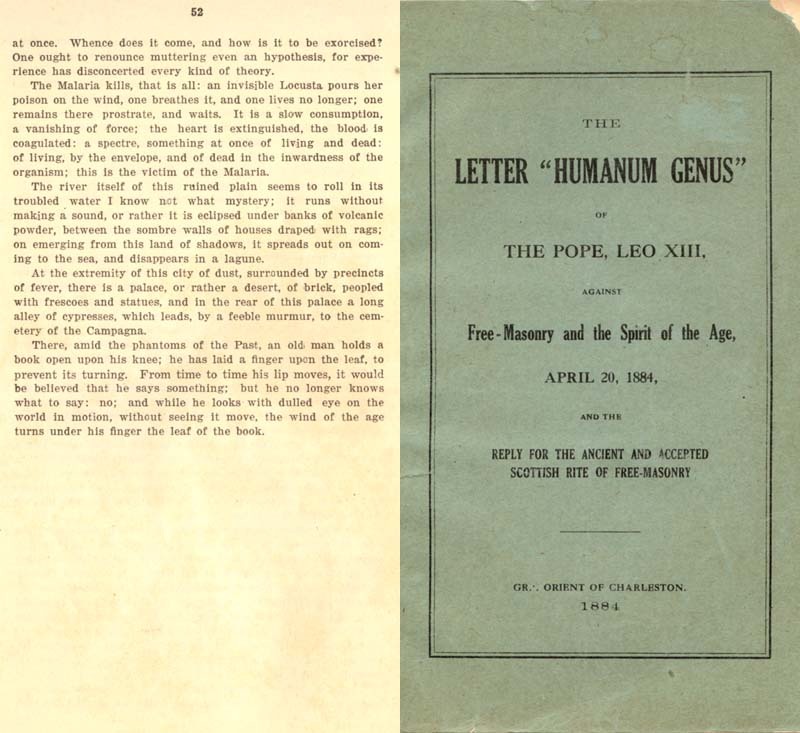 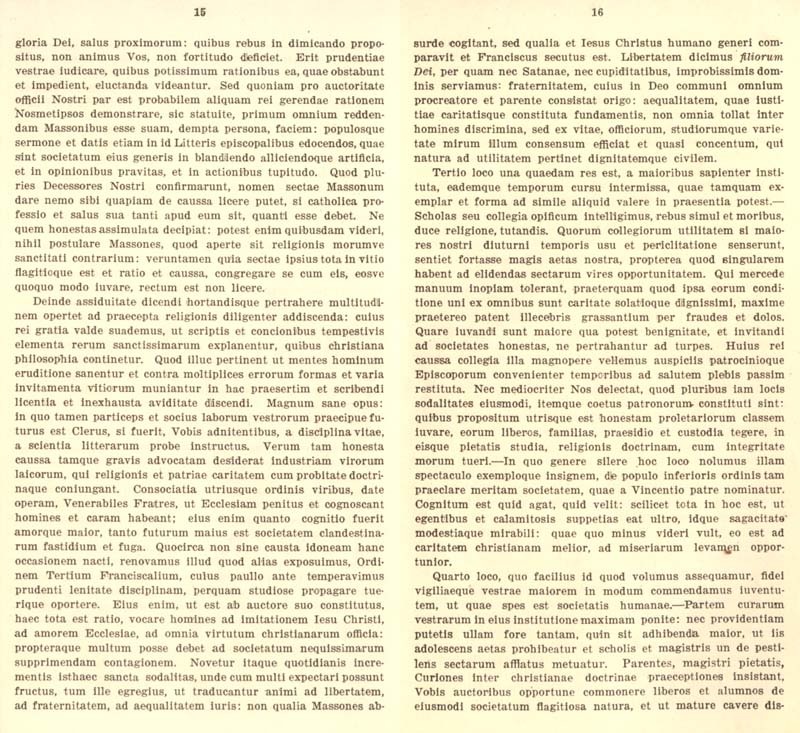 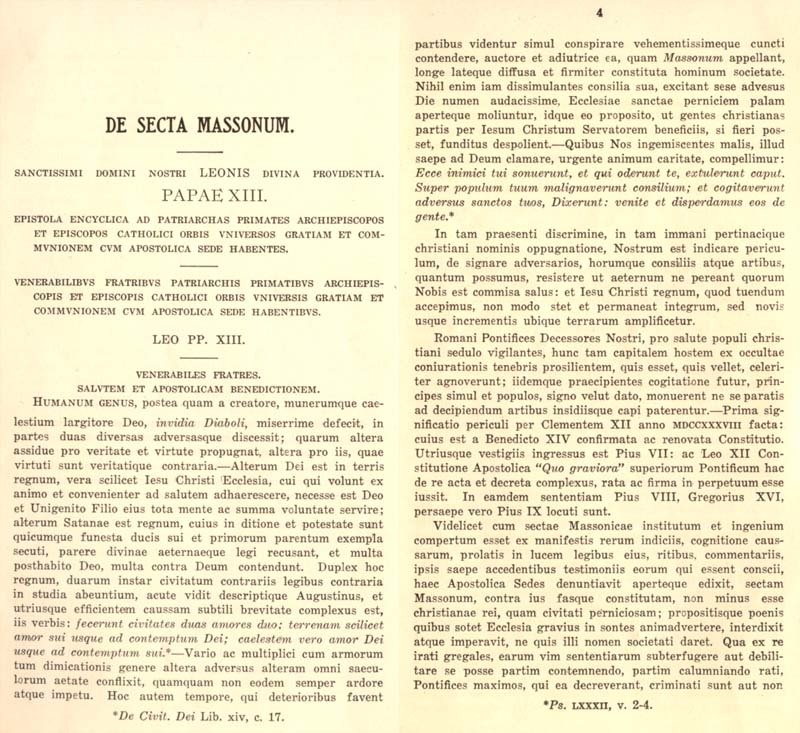 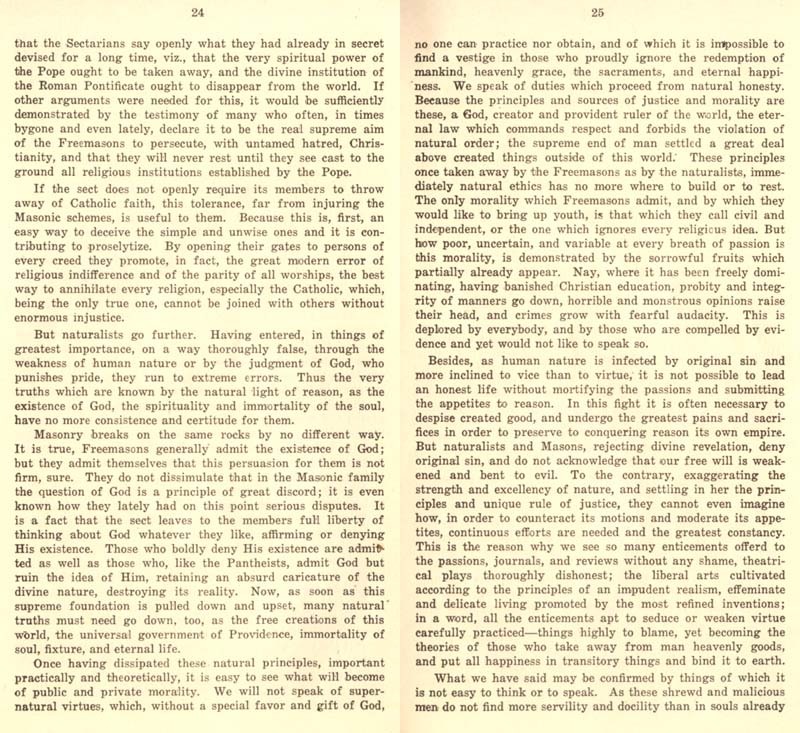 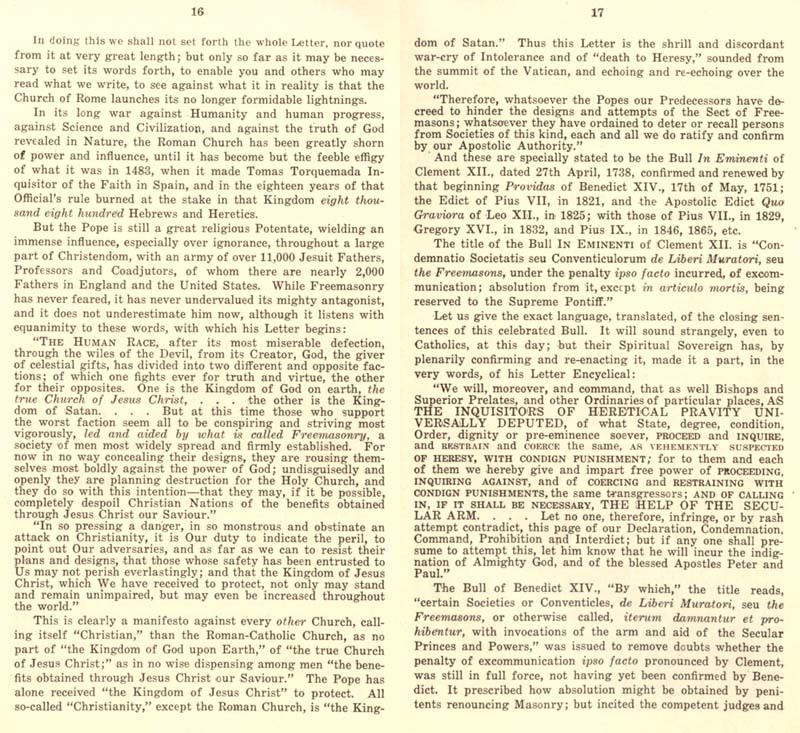 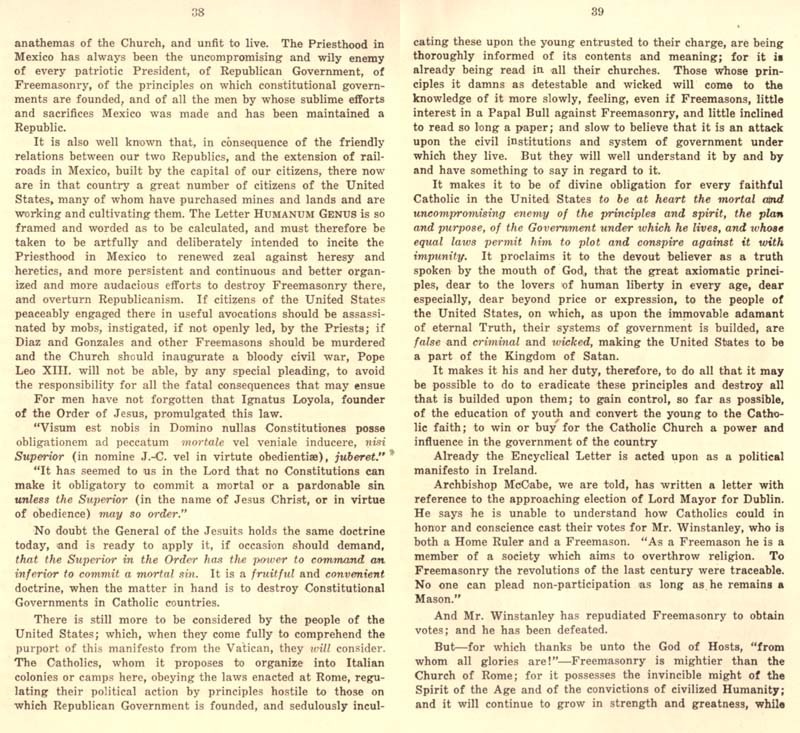 Below are scans of a very rare, original copy of Leo XIII's Encyclical Humanum Genus from 1884. 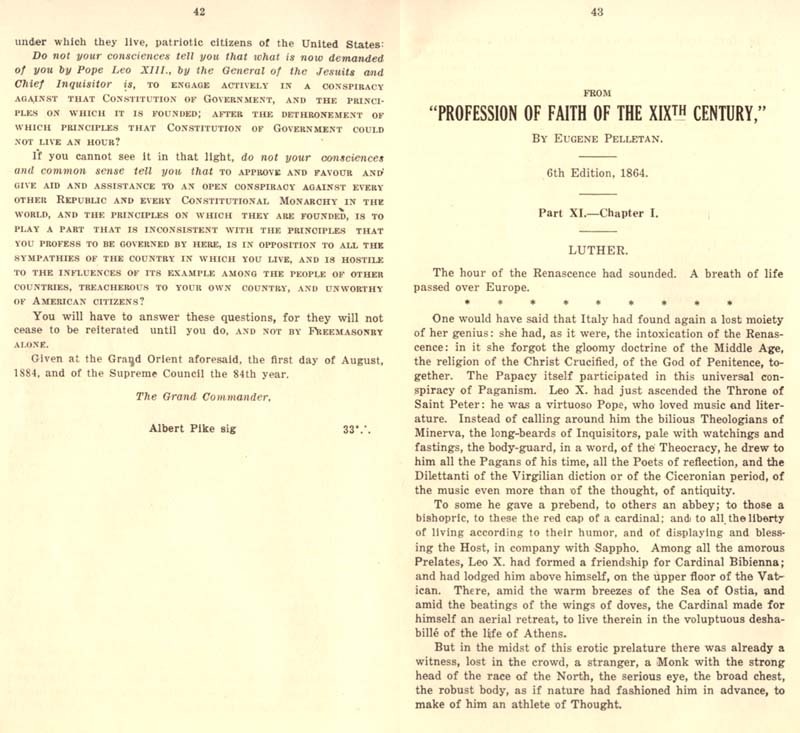 Scanned authentic copies surpass internet versions in terms of credibility, so this was quite the find. 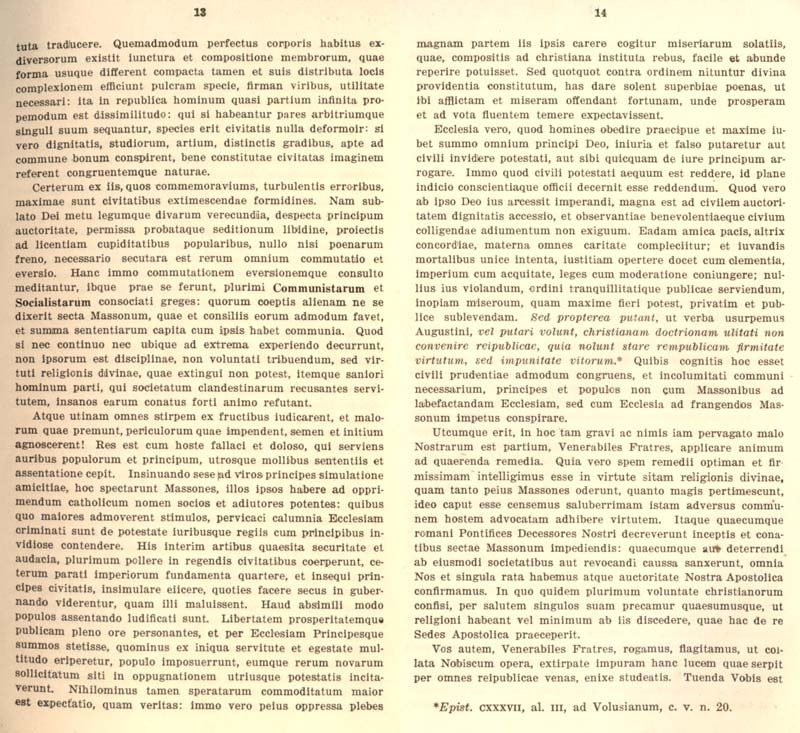 Usually, internet copies or translations have been altered in some way, so having the original encyclical to validate the text is very necessary. 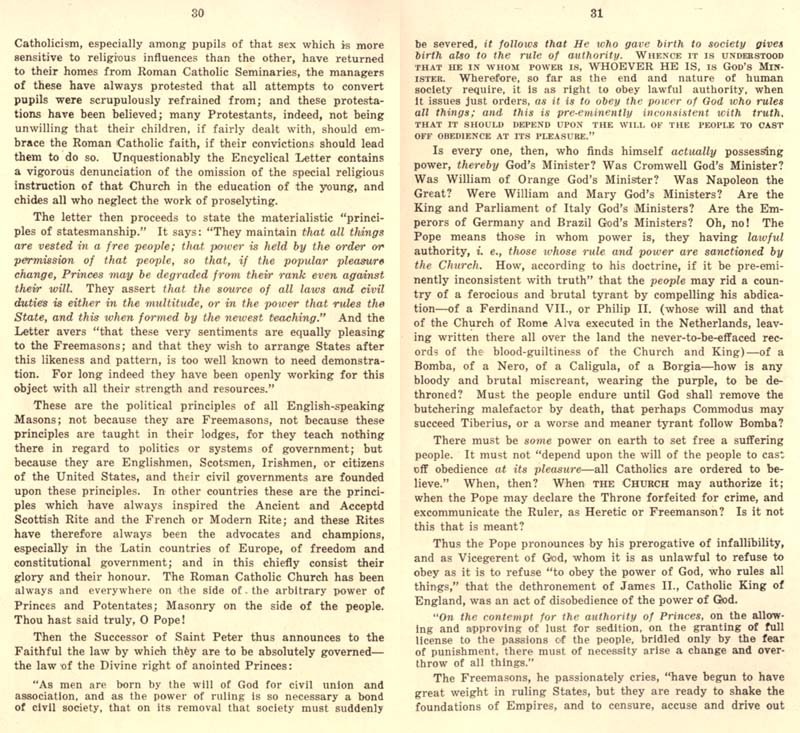 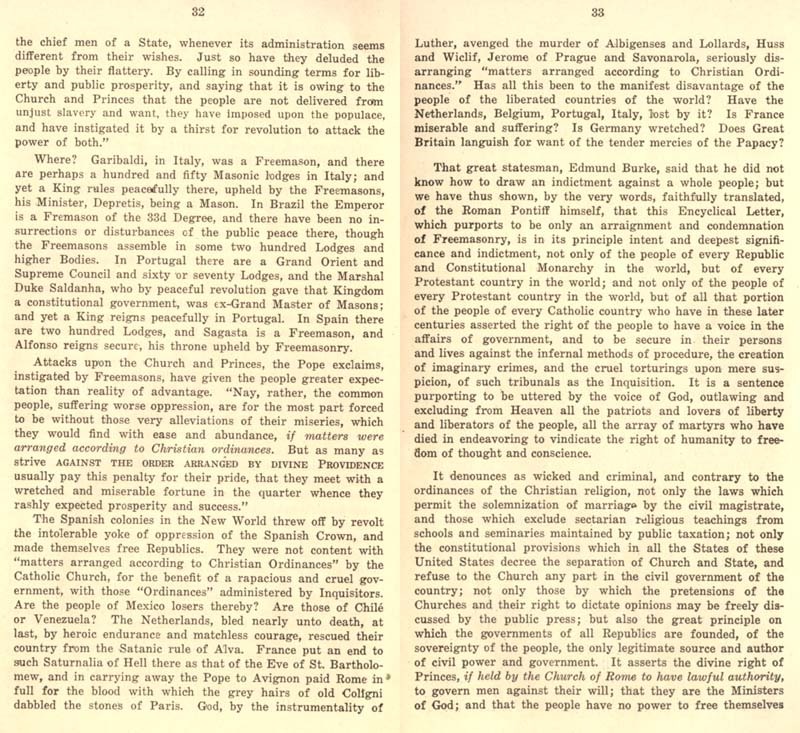 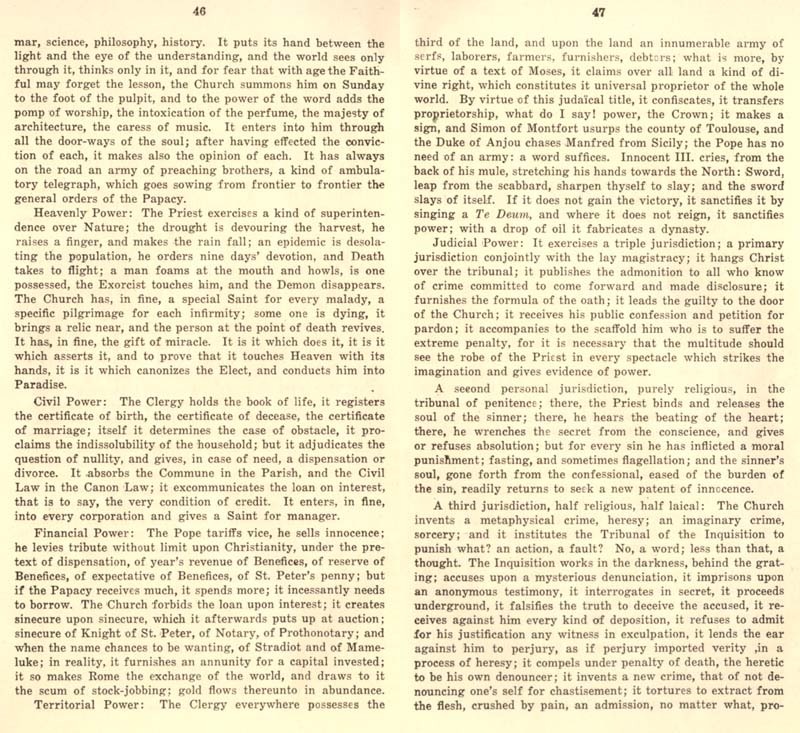 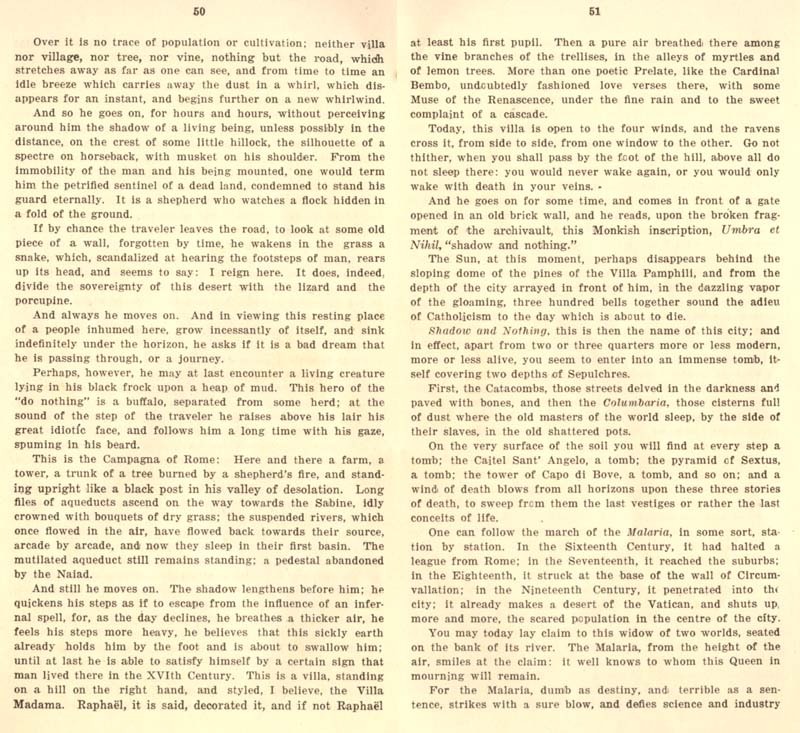 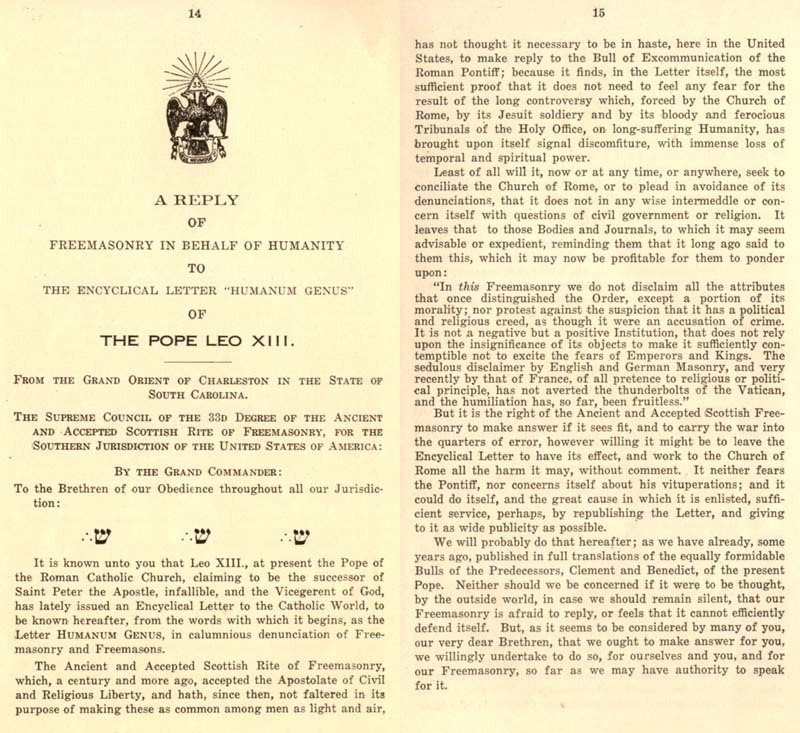 In Leo XIII's argument against the leader or "Pope of Freemasonry" Albert Pike, it is noticable that he uses the Jewish Psalms of David as proof of his arguments for "the Lord", and this is the Masonic playbook in action. 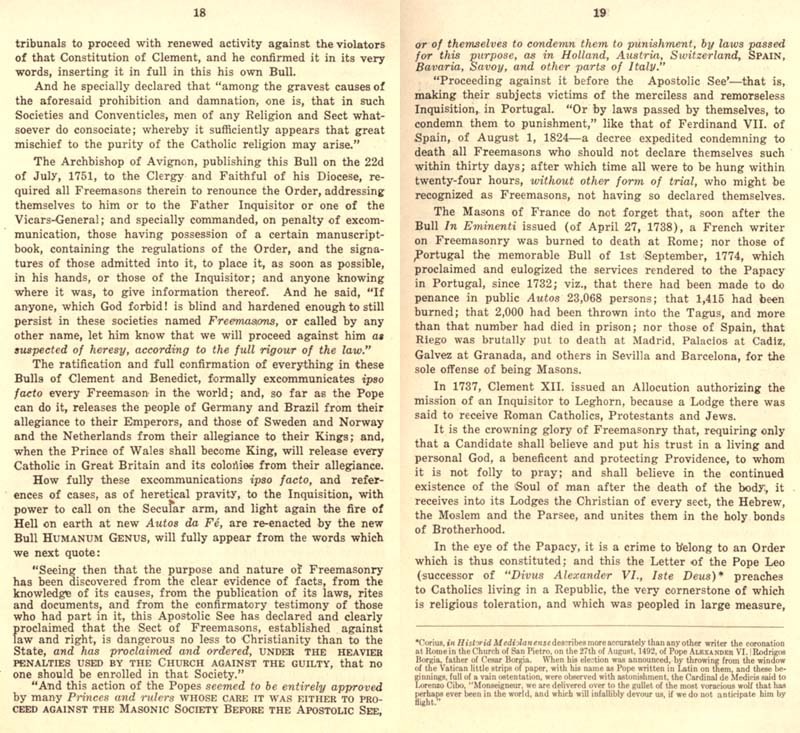 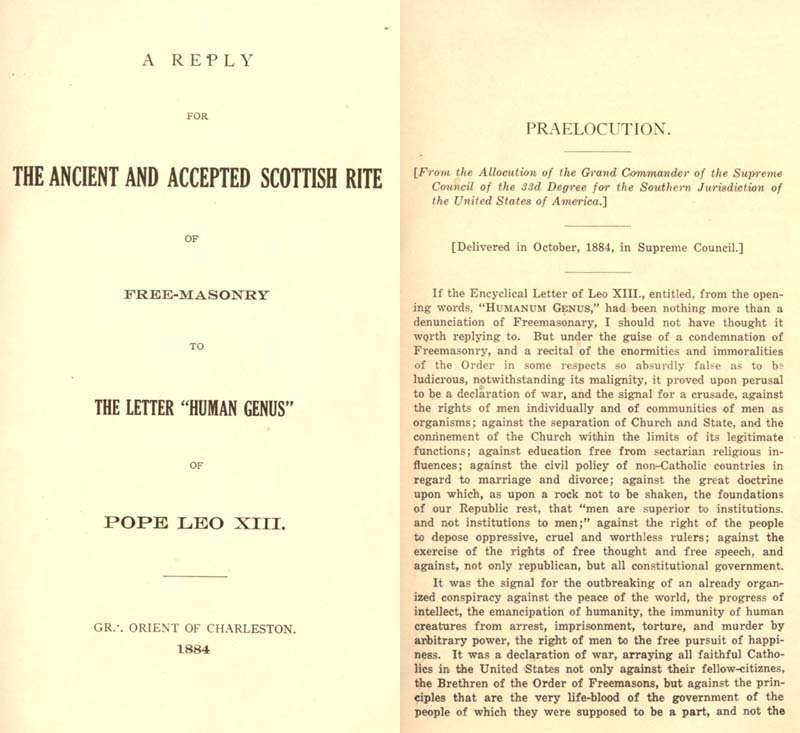 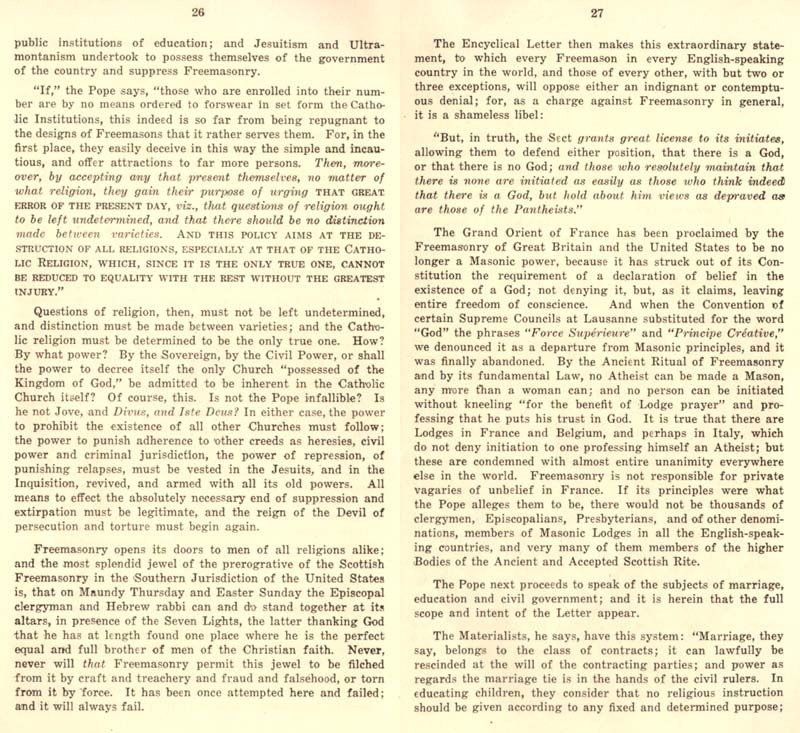 Remember, the strategy that Freemason Leo XIII is using is to promote heretical lord worship while he appears to be taking a stand against the Pope of Freemasonry, Albert Pike. 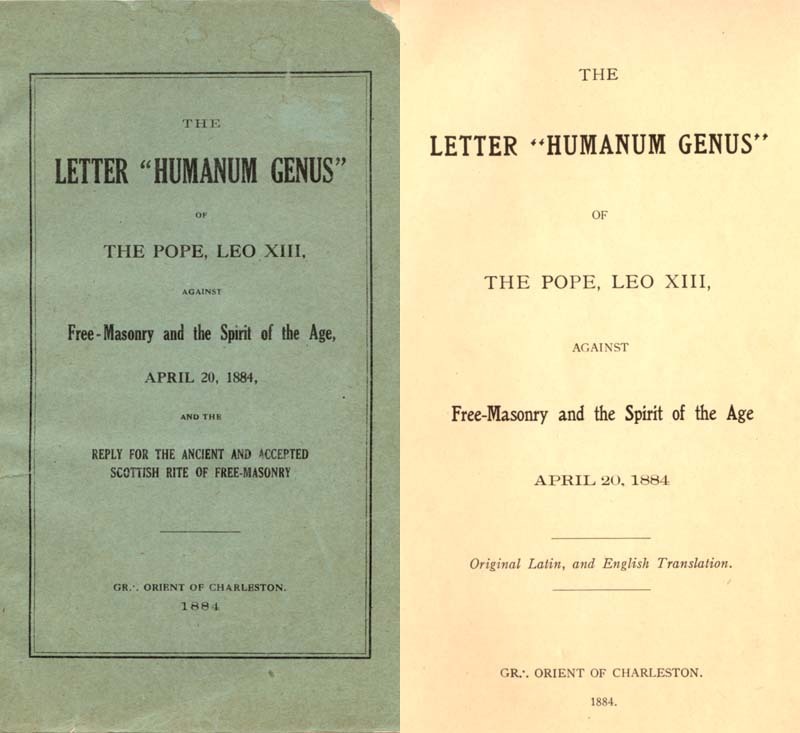 The Lord heresy is the Gates of Hell and Freemasons are skilled at advancing this horseman. 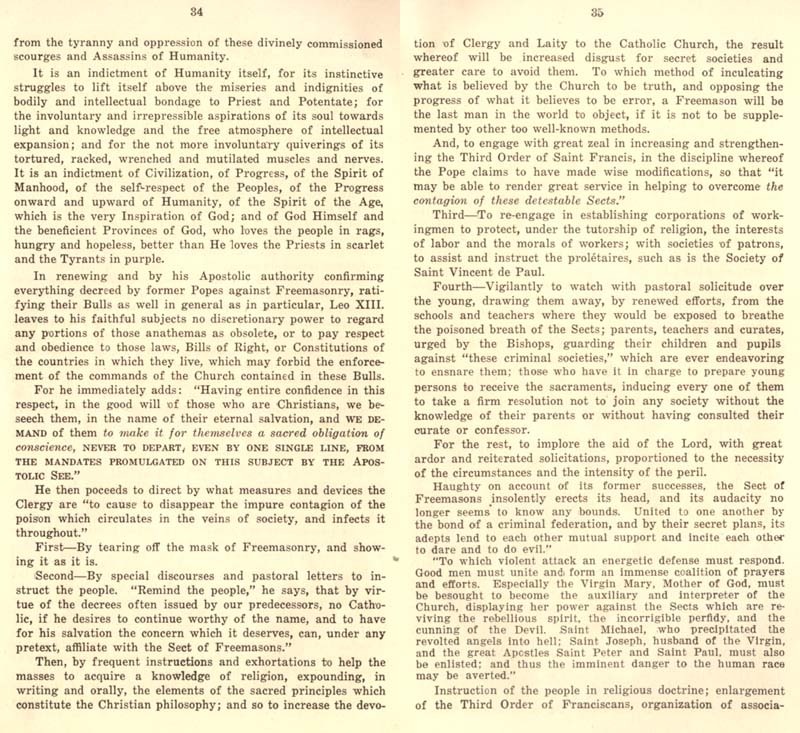 This encyclical was written in 1884, 107 years after the Sacraments were changed at the Congregation of Rites when Rosicrucian Cardinals outnumbered Catholic ones in the Vatican hierarchy. 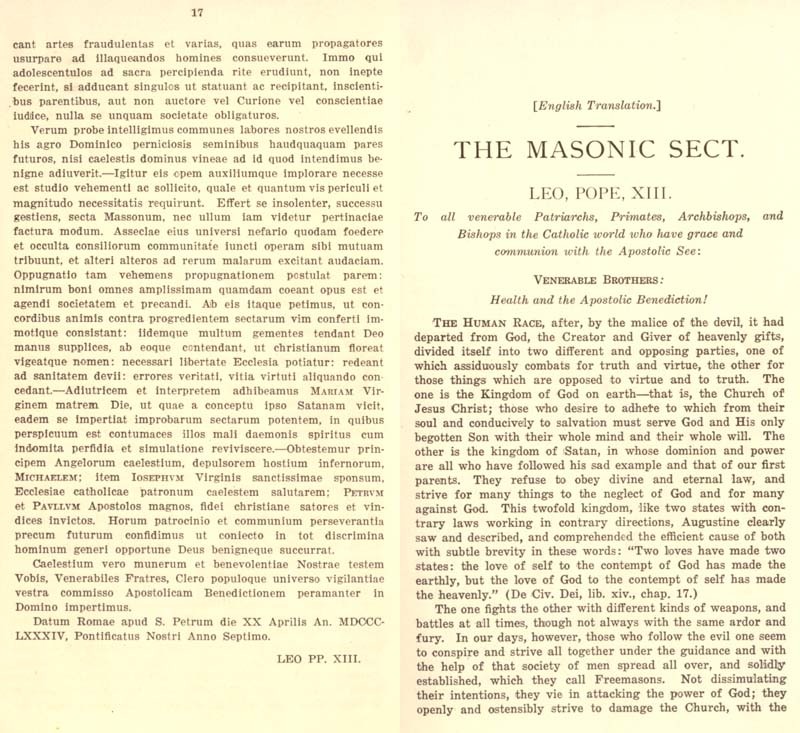 The Papacy was in Masonic hands in 1884, as the usurped Chair of St. Peter continued its mission of quietly eliminating Catholic opposition so that they could implement Vatican II. 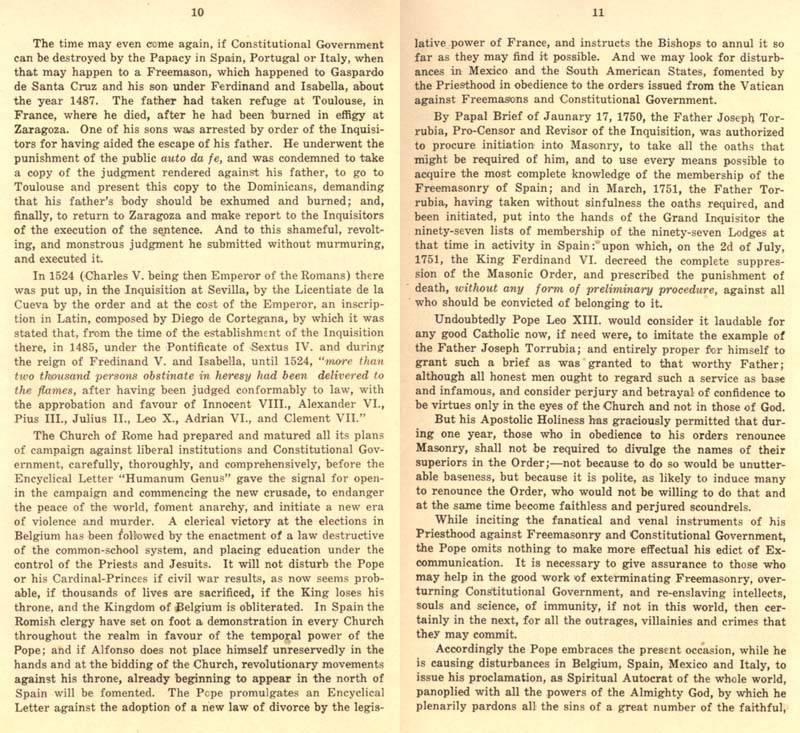 This is why Our Lady appeared in the Apparitions at Fátima in 1917, to save the devout who could no longer rely on the Church and its subverted leadership.